Queensland is the perfect destination for a Cruising Holiday. With so many itineraries to choose from, your choices are only really limited by how many nights you wish to travel. Beautiful destinations await with Cruises to the Great Barrier Reef and the Whitsundays high on the list of Cruise go-ers. With crystal clear waters, amazing coral reefs, and an abundance of sunshine, a Queensland Cruise is the perfect choice for Australian Travellers looking for a quick getaway. Most Cruises to Queensland depart from Sydney. Cruises from Melbourne to Queensland are also available with an 11 night New Year Cruise by P&O a popular choice. 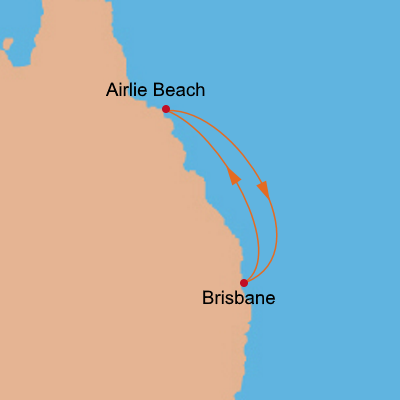 There are a large number of Cruises departing Brisbane up the Queensland Coastline. 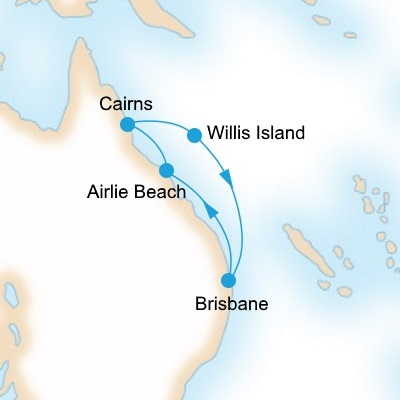 The Best Cruises to Queensland are those that are discounted or include some onboard credit! 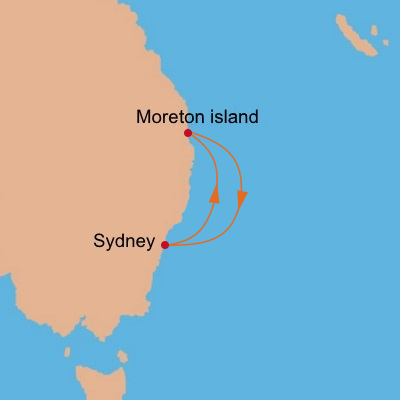 Short Queensland Cruises depart from Sydney to the Sunshine Coast (Mooloolaba) or Moreton Island. Operated by Carnival Cruises they are usually 4 nights length. Longer Cruises to Queensland are operated by Royal Caribbean, Princess and P&O. 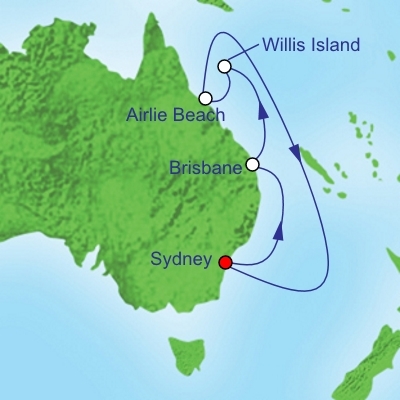 Departing from Sydney and Brisbane the Cruises vary in length from 7 to 10 nights. Cruises from Sydney and Brisbane also pass through Queensland ports on their journey to Asia and beyond. Queensland Cruises depart all year round. We have a number of discount Last Minute Cruises to Queensland on sale from under $1000 per person. Bonus Credit are also available on some itineraries.